In preparation for our all-staff kick-off event on Tuesday, Aug. 27, we are gathering video clips filmed by YOU. We want to create a dynamic picture of who we are as a community by recording a week in HSD through the eyes of our staff. SHOOT IT! Capture video of your week April 29 through May 3 - perhaps the most visually impressive, surprising, embarrassing or creative moment within your pocket of the HSD community - 30 seconds to 3 minutes, any time day or night, featuring people, places, things, whatever. Put your smartphone to use! We would prefer horizontal video submissions but will accept vertically-shot footage as well. SEND IT! Submit your video clips through this Google Form or send the video file(s) to riverao@hsd.k12.or.us. You have until Monday, May 6, to upload your footage from the previous week. Please include your name, work location, and role/position along with your submission. WATCH IT! The full video will air during our all-staff kick-off event on Tuesday, August 27. If you have questions, please contact Omar Rivera at riverao@hsd.k12.or.us or 503-844-1762 (ext.2762). Multi-factor authentication (MFA) was implemented to provide an extra layer of protection for District accounts. There have been numerous instances where a user’s account has been compromised and there was an attempt to access information that MFA blocked. Duo security will be the new MFA system for the District. More information, set-up guides for installing the Duo app and training will be available in the coming weeks. All District users will be required to switch from the current Microsoft MFA system to Duo. Click here for more detailed information. Thank you for assisting in keeping our student and staff information safe. Please follow this link to the TSPC Administrator License Redesign page to learn about exciting changes to the administrator licensure program. For instance, did you know that principals no longer need to complete their CAL if they intend to stay in a building level administrator role? The University of Portland has announced its summer and fall graduate courses for practicing educators. Click here to see the brochure. The April EAP newsletter is available is available by visiting www.myrbh.com, clicking “I’m a member,” entering the code OEBB, and following the “Newsletters” link at the top of the page. If you are a licensed or classified employee currently enrolled in Moda Dogwood, Kaiser 2, or Kaiser 3, and are not familiar with the Hillsboro Preferred Plan/Health Reimbursement Arrangement (HRA) and/or how to file claims, be sure to stop by one of the upcoming trainings to speak with someone who can help you understand this benefit. Congratulations are in order for two HSD counselors who were recently elected to the Oregon School Counselor Association (OSCA) Board of Directors: Ronda Gatewood (pictured left) of Witch Hazel Elementary School is the new Elementary VP, and Anna Woodard (pictured right) of Brookwood Elementary School is the new Secretary. Ronda and Anna will serve in this leadership role for the next two years. On Wednesday, Apr. 17, HSD will host community partners who work to support students with disabilities and their families at a Disability Resource Fair, taking place at the District Administration Center, 3083 NE 49th Place. HSD staff are invited to attend between 3:30 and 5:30 p.m., and families are invited to attend between 6:00 to 8:00 p.m. Informational booths will be presented by the NW Regional ESD, Tualatin Hills Parks and Rec., FACT Oregon, Dental3, and more! If you are considering raising funds for an activity or project, please review HSD’s Fundraising Guidelines. Once you have authorization from your administrator, there are several options for you to get your message out. Your project can be created as an item in your school’s or the District’s Web Store with a link that can be shared with supporters. The District absorbs Web Store fees for donation contributions. You may also be able to establish a GoFundMe campaign with the assistance of your Office Manager. However, with GoFundMe, the fees are deducted from donation contributions and must be fully disclosed to donors. Staff should never establish an external bank account or use their own to collect money for a fundraiser. Please contact your office manager for more information. All District purchases must be in compliance with purchasing policy. This includes all payments for services, P-Card purchases, and employee reimbursements. In addition, the District is implementing a higher level of best practices to ensure accountability and transparency for stakeholders. All purchases must go through the office manager and be approved by an administrator prior to authorization and payment. Please see the at-a-glance guidance below and contact your office manager or bookkeeper with questions prior to purchasing, as past practices may no longer be allowed. Requisitions and purchase orders are the preferred method. This requires planning ahead and working through the office manager. Petty cash should be used for incidental purchases up to $30. Turn in a receipt to the office manager for cash. Reimbursements can be requested for purchases over $30. Anything over $250 must be authorized by the CFO. All reimbursements require itemized receipts - not in excess of IRS rules for meals, etc. - and submission within 30 days. Gratuity is not to exceed 20%. Expenses for events must describe the event and who (individual or group) was in attendance. Not allowed for places that sell prohibited items: Amazon, Fred Meyer, Winco, Target, Starbucks, etc. Thank you for following best practices in purchasing in HSD. Please see #OKnotOK for additional details, and please direct questions to your administrator or office manager. To thank the teachers and school administrators for all that they do, the Oregon Ducks baseball team will be hosting a Teacher Appreciation Day at PK Park on Saturday April 6th at 4pm against Fresno State. This offer is for reserved seats at the game for teachers, administrators, and their respective friends and families! To add more excitement, the school with the most support will see one member of their staff throw out the ceremonial first pitch! Please see link below for the offer or contact, Dylan Robinson at 541-346-8416 or email drobinso@uoregon.edu with any questions regarding this event. We are already busy preparing for our 2019-20 kick-off event in August, which means it’s time to design a new t-shirt for staff! Rather than Communications staff just deciding what that design will be, we thought it would be fun to make a contest out of it. Staff are welcome to submit designs, or you can have your Art, Graphic Design, Leadership, or other students submit designs as well. Shading, gradients, etc. may not silkscreen very well. Tones may be created using percentages of the one color used (no lower than 50% for best visibility). Please submit your designs by e-mail to Multimedia Specialist Omar Rivera at riverao@hsd.k12.or.us by Friday, April 12. If you have questions, feel free to call him at 503-844-1762 or from an internal phone at x2762. Top designs will be presented for voting in the April 22 issue of Hot News. Three $600 scholarships are available for K-12 educators who are interested in attending the Oregon Summer Agriculture Institute. Application deadline is Wednesday, May 1. Click here for details. Nominations and applications for the 2019 Music Educator Award are being accepted through Sunday, Mar. 31. Current, full-time educators who teach music are eligible to apply. The winner will be flown to LA to attend the 61st Annual GRAMMY Awards where they will receive their award plus a $10,000 personal honorarium. All finalists will receive a $1,000 honorarium, while semifinalists receive a $500 honorarium. The March EAP newsletter is now available on RBH’s website. Visit www.myrbh.com, select “I’m a member,” and enter the code “OEBB” to access the site. Newsletters are accessible via the link at the top of the page. Discover, learn, and implement effective future-forward instructional strategies to enhance the student learning experience. Visit Tech|Teach|Grow for crowd-sourced tech integration ideas and tutorials featuring G Suite. Follow the Tech Teach Grow Team on Twitter @TechTeachGrow. Third- through fifth-grade teachers are invited to participate in the Oregon Ag Fest Essay Contest. Teachers may submit up to five essays from their classroom, talking about the food and/or fiber and flora grown locally that will help educate others about agriculture in our area. Winning classrooms will earn a field trip to the Ag Fest event on Thursday, Apr. 25, 2019. Submission deadline is Friday, Mar. 22; click here for additional details. Teachers are invited to apply for one of two $1,000 grants for virtual reality equipment for your classroom. The application form and a brief lesson plan (500 words max.) describing your creative ideas for using VR equipment in your classroom to enhance the educational experience of your students are due by Tuesday, May 21. Click here for more details. A free PERS/403(b) retirement planning seminar will take place from 6 to 7 p.m. on Tuesday, Mar. 5, in the Board room at the District Administration Center, 3083 NE 49th Pl. The workshop is open to all employees and their partners, whether they are planning to retire in the near future or are simply looking to get some questions answered. With the PERS retirement system and potential changes in the news more and more, it is important to stay on top of what can be an essential part of your retirement income. Topics will include explaining the PERS system, its changes over time, and what it will mean to you. Different payout options will also be discussed to help you start thinking about what may be best for you and your family. There are often many questions employees have about planning for taxes, PERS, Social Security, and health insurance in retirement; or even just getting a financial plan started. This will be a great workshop for getting those and other questions answered as we enter the second half of the school year. Presenter: Skylar Koon of Foresters Financial, an approved 403(b) vendor for the District. This event is completely complimentary; however, space is limited. If you would like to attend, please RSVP by e-mail to skylar.koon@foresters.com or by phone at 503-296-7676 ext. 322. If you have any questions, please contact Lynette Coffman at 503-844-1531 or coffmanl@hsd.k12.or.us. Disclaimer: Hillsboro School District cannot, and does not, provide financial or investment advice to employees. The District is merely facilitating employee access to reliable information and services pertaining to personal financial planning. The District does not endorse this vendor or seminar. Hillsboro School District does not receive any form of compensation from any particular retirement vendor for the services and products offered. After months of analyzing data and developing a vision and goals, the long-awaited opportunity to complete a Language Arts Adoption Request for Pilot (RFP) has finally arrived! The Language Arts Adoption Study Team has selected the top three publisher options for the K-5 pilots. Applications are due by Friday, Mar. 1. Our secondary RFP application window will be opening in the fall, once important standards alignment is completed. Please visit the HSD Language Arts Adoption Google Site for more information. As we reported in the Feb. 4 issue of Hot News, the District and HEA reached a tentative agreement on a three-year contract on Tuesday, Jan. 29, after nearly a year of collaborative negotiations. The School Board unanimously approved the agreement at their work session on Tuesday, Feb. 12, and HEA membership ratified the agreement on Friday, Feb. 15. The contract will now go into effect retroactively to July 1, 2018, and will remain in force through June 30, 2021. Salary adjustments will be included in the March payroll. Licensed staff members may submit a written transfer request for the following school year to the Human Resources Department by March 1. The District shall consider transfer requests and notify members by May 1. When an opening occurs after May 1, the District will consider members with a pending transfer request prior to filling the position. All transfer requests expire August 15. No hires from outside the bargaining unit, including interns, will take place until all in-District transfer requests have been considered, except in the case of hard-to-fill positions. Hard-to-fill positions are those for which there are no in-district transfer requests. Temporary employees are not eligible for voluntary transfer, but may be considered for vacancies pursuit to Section B. This is your annual opportunity to request consideration for a voluntary transfer to another school or assignment, as well as instructions for requesting a leave of absence, and decreased or increased of FTE. The attached Google Document links provide you access to the required forms. Once you have filled out the document and hit “send” it will be submitted to HR. Please remember that part of the process is informing your supervising administrator of your request. Please click on the link 2019-20 SY Licensed Employee Transfer Request Form to submit a request. Allow 30 minutes to complete the form. Please note that, for your transfer to be considered, it must be received by HR no later than Friday, March 1, 2019. Please see Article 9, Section A (from the HEA/HSD Agreement) for more details. If you have further questions about this process please ask your supervising administrator or HEA building representative. February’s Employee Assistance Program (EAP) newsletter is posted to the RBH website. Click “I’m a member,” enter access code “OEBB,” and select newsletters. This month’s webinar is on the Home Ownership Program for educators. Join in to learn more about benefits of the program and have your questions answered. The webinar takes place on Wednesday, Feb. 13, from noon to 1 p.m.
On Tuesday, Jan. 29, after nearly a year of negotiations, the District and HEA reached a verbal agreement on a three-year contract. This Wednesday, Feb. 6, is the deadline for submitting one-page abstracts to the Hillsboro Schools Foundation’s (HSF) Innovative Education Grants process. HSF has funded tens of thousands of dollars worth of grants for educators over their 19-year history. Don’t miss your opportunity to implement an engaging project in the 2019-20 school year! Learn more about the process by watching this video, and access the application on HSF’s website. Staff should have already received their year-end 2018 W2 tax statements in the mail. If not, please check that your address is correct in the iVisions portal. There, you can also access an electronic version of your W2 under the drop-down menu “Pay/Tax Information.” If you have questions, please speak with the Payroll department. Classified staff members are invited to participate in the Classified Summit on Thursday, Jan. 31, from 7:45 a.m. to 3 p.m. at Century High School, 2000 SE Century Blvd. The summit is a voluntary professional development opportunity featuring a keynote speech from Jim Sporleder and breakout sessions on trauma-informed care, effective math strategies, behavior management, and more. Learn more here and register for the event on Serebra. Just a reminder that classified staff members who wish to transfer to another location must submit their request by Friday, Feb. 1. Employees will be notified if their request was approved no later than June 1. Please contact HR Specialist Carol Helfer with questions. Administrators and licensed staff are invited to attend an open house on Friday, Jan. 25, from 4:30 to 6 p.m. at the District Administration Center to provide your valuable professional insight and feedback to our Language Arts Materials Adoption Team. Listed below are publishers who will have materials out on display for staff to review. These are some of the top-rated language arts curricula, many of which are available in both English and Spanish, that are being considered for potential pilots in the spring of 2019 for elementary schools, and in the fall of 2019 for secondary schools. If staff are unable to attend this open house, there will be other opportunities to view the materials this spring. ODE created the School Wellness Awards to recognize schools for their outstanding efforts to improve child health and make the connection between nutrition, physical activity, and academic achievement. Schools that are actively working to improve student and staff wellness are encouraged to apply by Thursday, Jan. 31. Three winners will be selected to win $2,500 and a recognition banner. Click here for more information and here to apply. Have a great idea for a project you’d like to implement at your school or in your classroom next school year? Then write it up and submit it to the Hillsboro Schools Foundation (HSF) for funding consideration through their Innovative Education Grants process! HSF is currently accepting one-page abstracts through Wednesday, Feb. 6, for grants up to $15,000. Learn more about the process by watching this video, and access the application on HSF’s website. Classified staff members are asked to please save the date for the Classified Summit on Thursday, Jan. 31, from 7:45 a.m. to 3 p.m. at Century High School, 2000 SE Century Blvd. The summit is a voluntary professional development opportunity featuring a keynote speech from Jim Sporleder and breakout sessions on trauma-informed care, effective math strategies, behavior management, and more. Learn more here and register for the event on Serebra. Due to changes in federal tax laws, using your federal Form W-4 allowances for Oregon withholding calculations may no longer result in the correct amount of withholding for Oregon personal income taxes. You might not be withholding enough to cover your Oregon tax liability, which could result in you owing money when you file your taxes. To check your state withholding, go to www.oregon.gov/dor and click on the link for the online calculator. To update your state withholding, complete Form OR-W-4, Oregon Employee’s Withholding Allowance Certificate and give it to the District’s Payroll department. Monday, Jan. 7, is the final day of our 2018 United Way campaign. Please consider taking this opportunity to make a meaningful difference in the lives of people in need in our community. If you’ve contributed in the past and would like to continue, you must renew by filling out a new pledge form each year. Click here to learn more, here for FAQs, and here for a pledge form. Completed pledge forms should be returned to the District’s Communications department. January’s health and wellness webinar, “Exercise Your Health,” takes place on Wednesday, Jan. 9., from noon to 1 p.m. This webinar will explore the four dimensions of health: physical, mental/emotional, social, and spiritual. Participants will develop a simple action plan to help them on the path to making healthier choices and start exercising their health every day. Register here. Just a reminder that licensed staff are invited to attend a Transfer 101 meeting on Thursday, Jan. 17, from 4 to 5 p.m., in room 218C at the Administration Center. Human Resources staff will explain the general transfer process and will go over FAQs. Attendees will also have an opportunity to ask any questions they may have. Elementary educators are invited to attend a special SCRAP training event on Sunday, Jan. 20, from 10 to 11:30 a.m. at SCRAP PDX, 1736 SW Alder St., Portland. The training will demonstrate how to successfully incorporate creative reuse into the classroom. A $16 registration fee includes coffee, pastries, a networking social after the training, and a 20 percent discount on same-day purchases of reuse materials. Learn more and register for the event at scrappdx.org. Our employee assistance program provider, RBH, puts out monthly newsletters on topics related to worksite and life balance. To access the newsletters, go to myRBH.com, click “I’m a Member,” and enter the access code: OEBB. Please remember that there will be a planned disruption in printing services over winter break as the Print Shop gets new equipment installed under the District’s current lease agreement. Any print items needed immediately after winter break should be ordered no later than Dec. 17. Any orders received after that date will likely not be completed and delivered to buildings until mid-January. OEBB is hosting its first resilience webinar on Wednesday, Nov. 28, from 3:30 to 4:30 p.m. Presented by StressStop.com founder James Porter, the webinar provides six simple steps for lowering stress in the workplace: raising awareness, problem-solving, cognitive restructuring, mindfulness, resilience, and social support. Space is limited, so register now to reserve your space. Our Board of Directors is working with the Oregon School Boards Association to update all HSD policies over the course of the next two years. At their meeting on Tuesday, Nov. 13, the Board approved several policies in the Support Services section. They were also alerted to changes in several administrative regulations (ARs), which do not require Board approval. Please refer to the Board packet (beginning on page 24 for the ARs and page 61 for the policies) to review the new policy/AR language. We will continue to alert you to policy changes affecting personnel as they occur. Staff are asked to consider volunteering their time to mentor a male Latino high school student through the Big Brothers Big Sisters program. The goal is to find mentors for 60 freshmen to increase the students’ positive school connection, improve their academic outcomes, and, ultimately, to increase their graduation and college-going rates. Time commitment is Tuesdays from 3:40 to 4:40 p.m. for a year. Please see this flyer for more information. Lewis & Clark’s Graduate School of Education and Counseling offers a variety of endorsement programs for Oregon educators at a reduced rate. The courses are offered both online and on-site; all are welcome to join either cohort, even if they are not employed in the district where the cohort is located. Please visit their website to learn more. Just a reminder that if you have not yet configured multi-factor authentication for your Microsoft Outlook e-mail account, you will need to do so before Thursday, Nov. 15, or you will not be able to access your e-mail when you are away from the HSD network. Our employee assistance program provider, RBH, offers a wealth of resources on a variety of topics related to health and wellness. Their webinar series focuses on topics ranging from depression to caring for aging parents to exercising, and more. From noon to 1 p.m. on Wednesday, Nov. 14, they will offer a webinar on the Art of Communication. Click here to register, or if you cannot participate at that time, you can access archived webinars on RBH’s YouTube channel. See upcoming webinars, access monthly newsletters, and find other helpful information on their website. Click “I’m a member” and enter access code: OEBB. Also, did you know that the Great American Smokeout is Nov. 15? If you or a loved one needs help breaking a tobacco habit, click here for resources. The Nike Community Impact Fund is currently accepting grant applications through Friday, Nov. 30. Grants are one-year awards of $5,000 to $20,000. Eighty percent of grant awards support projects that deliver impact through the lens of sport and physical activity, while the remaining twenty percent support organizations and projects that address community challenges through innovative community-based solutions. Learn more here. Project ideas must be supported by your principal and reviewed at the District Office prior to submission. Did you know that more than one in three Americans have prediabetes and 90 percent of them don’t even know it? Fortunately, most cases of type 2 diabetes are preventable and reversible with lifestyle changes, such as maintaining a healthy weight, limiting carbohydrate intake, and staying active. Pacific University offers Masters in Teaching degrees in a “low residency” model that mixes online and evening classes, allowing you to earn your degree and license while working. Learn more at pacificu.edu/MAT or e-mail teach@pacificu.edu. Multi-factor authentication (MFA) is an advanced security layer included on Microsoft Outlook accounts to make it more difficult for hackers to gain access to and control of your e-mail account. MFA will be enforced for all adults in HSD on Thursday, Nov. 15. We are only focusing on our Office 365 e-mail platform (Outlook) at this time. We are encouraging staff to enroll in MFA and start using this prior to the Nov. 15 deadline. Instructions on how to configure MFA is available here. (Please note that this is much easier to do on a computer than a mobile device!). And a list of FAQs is available here. Both documents are housed in JiTTER. Licensed staff members are cordially invited to attend a listening session with Superintendent Scott on Monday, Nov. 5, from 3:45 to 4:45 p.m. at Hilhi, 3285 SE Rood Bridge Rd. This is a great opportunity to learn more about important activities taking place in the District and to ask any questions you may have. The process for requesting course pre-approval and/or tuition reimbursement has gone digital-only! Paper requests will no longer be accepted. The following online forms are available via the the links provided or on MyHSD: Classified Professional Improvement Request; Licensed Course Pre-Approval for Tuition Reimbursement. If you have any questions, please email Administration Center Receptionist Ines Santos. The NWRESD and Concordia University-Portland are now in partnership, which means that member school districts qualify for various scholarships, such as $4,000 for MEd & MAT, 20% off tuition for certificate programs, 30% off tuition for the on-campus EdD program, $10,000 for the online EdD program, and more. Click here to see the scholarships flyer, here to see a brochure about the MEd program, and here to see a brochure about the EdD program. Call 503-280-8501 for more information. A free PERS/403(b) and retirement planning seminar is scheduled for Tuesday, Oct. 16, from 6 to 7 p.m. in the Administration Center Board Room, 3083 NE 49th Pl. The workshop is open to all HSD staff members and their partners, whether you are planning to retire in the near future or are just getting started with the District. The event is free, but space is limited. Please RSVP to Skylar Koon, 503-296-7676 ext. 322. Please join us for a day focused on self-care and wellness on statewide inservice day: Friday, Oct. 12, from 8 a.m. to 3:30 p.m. at Tobias Elementary School, 1065 SW 206th Ave. From our keynote speaker Diana Cutaia to multiple breakout sessions, there is something for everyone. Register on Serebra; attendance is voluntary. See the flyer for more details. Throughout the year, there are several opportunities to nominate outstanding teachers for recognition and awards. The first of those is accepting nominations now: the Smart/Maher National Citizenship Education Teacher of the Year Program, which recognizes three teachers (one from each level: elementary, middle, and high school) for their commitment to educating students about American history and citizenship. Deadline for nominations is Oct. 31, 2018. All staff members must complete the required annual policy reviews and trainings by Sunday, Sep. 30. Employees should work with their supervisors to schedule their trainings. The expectation is that these trainings will be completed during contracted work hours. Be College Ready is a program of the Oregon Savings Network that encourages elementary school students to begin saving early to maximize their investments and prepare for the future expense of college. Participating schools receive free homework folders, pencils, and bookmarks for students, and parents will receive an informational brochure about the Oregon College Savings Plan (OCSP) and how they can enter a sweepstakes to win $100 for an OCSP account. Please bring your photo identification and insurance card. Kaiser members are no longer subject to pre-approval, nor are there separate claim forms or limits on the number of members who can participate. You may fill out your claim form ahead of time or at the clinic. The nasal spray form of the vaccine will not be available, only the injection. You may bring your dependent children as long as they are at least 9 years of age and are willing participants. ODE will release state assessment results from the 2017-18 school year on Thursday, Sep. 20. Aggregate and disaggregated data on how students performed on their standardized tests from the spring will be available on the Student Assessment page of ODE’s website. This information will be part of the School and District Report Cards that will be released in October. As part of your benefits package as an HSD employee, we will periodically inform you of opportunities to learn more about optional supplemental insurances, health programs, and more. One such opportunity is provided here for your reference. If you have questions, please contact the HSD Benefits Team. August 20, 2018 - Busing information for all students will be available on Wednesday, August 22, using the “MyBus” tab on our website. The student’s ID number and birthdate will be needed to access the system. Busing information was mailed home to all incoming kindergartners and first graders only this year. Some afternoon buses may arrive after dismissal time, especially at secondary schools. Buses may arrive late to athletic contests and other events. With Transportation support staff (Routers, Mechanics, Dispatcher, Office Staff) out driving, there will be delays in the routing of students. This will be most noticeable for students with special needs and students going to daycares or other alternate addresses after school. Trip transportation requests may be denied due to a lack of available drivers. Please note that no exceptions will be made for trips submitted less than 30 days in advance. No trips before 9 a.m. on M,T,Th,F and 9:30 a.m. on W with a return to school no later than 1:45 p.m. M,T,Th,F and 1:15 p.m. on W.
No departures before 5:00 p.m. M-F.
No additional afterschool activity program (K-12) buses beyond the current allocation of one bus per elementary school (two at McKinney and Lincoln Street) and two or three per secondary school. Any overnight and/or extended hour trips (requiring a relief driver) can be arranged with an approved motor coach carrier; these trips can include a District box truck and driver, if needed. Schools will be limited to one District box truck and driver for all other trips. Due to the senior College and Career visits and the high school Cross Country District meet, we are not accepting any additional trips for Wednesday, October 24. We will alert you to any other blackout dates as soon as possible. Thank you very much for your patience, understanding, and adherence to these guidelines as we work to mitigate the effects of our bus driver shortage. If you know anyone who is interested in becoming a driver, please encourage them to apply today! The Confederation of Oregon School Administrators and Concordia University Chicago have developed a rigorous online program that offers preliminary and professional administrator licensure, as well as the opportunity to pursue a master’s or doctorate degree. Deadline to register for the 2018 PreAL cohort is Aug. 1; classes start Aug. 27. If you have not yet read the June edition of OSP Connected, please take a few moments to do so! This month’s issue is chock-full of great information about the recently-completed survey of 4,000 secondary students and their observations about what is and isn’t working for them in our system, tips on building relationships as you close out the school year, an update on our bond work, and more! There’s even a link to a voluntary survey about equity. You can find the June edition and all past issues of OSP Connected on the Staff News page of our website. Security is becoming an increasingly prioritized focus for the District and is guiding changes in how we operate. The first step in improving our safety and security footprint has been the recent implementation of a banner that appears on all email originating from outside of the HSD domain. This alerts staff to be more aware of the source of an email before taking any action listed in the message or opening attachments it may contain. We have also started the process of implementing multi-factor authentication (MFA) for our email and for our Google domain. This helps prevent bad actors from accessing email or Google resources should a user’s password get compromised in some way. Having multi-factor authentication will be a requirement for all staff accounts beginning October 1, 2018. What is multi-factor authentication? Multi-factor authentication requires two forms of authentication to login to a resource like Web Mail or Google Drive. One form is the District password you have always used, the other is usually a code sent to you on another device. Technology Services will be enabling multi-factor authentication for all staff members in the summer or early fall for both Google and Web Mail. It will be enabled, but not required until October 1, 2018.This means those who want to get an early start on enabling multi-factor authentication can opt in prior to the October 1 deadline and start protecting their accounts now. We will not be enabling multi-factor authentication for students in HSD at this time. As more applications become multi-factor enabled, we will add them to list of required applications enforcing multi-factor authentication. Guides have been created for Google and Web Mail that will help people walk through the process of enrolling and enabling multi-factor authentication. These articles can also be found in JiTTER by searching for MFA or Multi-Factor Authentication. Summer Agriculture Institute is a three-credit, week-long, graduate level class for K-12 educators who have little to no background in the subject matter. The goal is to help educators use agriculture as a context or theme for teaching academic standards. Session #1 is Jun 17-22 in Corvallis; session #2 is July 15-20 in La Grande. The Washington County Farm Bureau is offering ten scholarships to local educators; applications are due Jun 15. HSD and American Fidelity Insurance are offering a summer enrollment for optional benefits, such as Section 125 Flexible Spending Accounts, Health Savings Accounts, life insurance, disability, and more, on Tuesday and Thursday, Jul 10 and 12, from 8 a.m. to 4 p.m. at the District Office, 3083 NE 49th Pl., room 116. Learn more about your available benefits and schedule your one-on-one benefits review at https://benefits.americanfidelity.com/hillsborosd. May 18, 2018 - Last week, non-retired PERS members across the state began receiving their 2017 Annual Statements in the mail. Your 2017 statement gives you a snapshot of your PERS retirement benefits, including details about both your pension and Individual Account Program (IAP). Reviewing your statement each year is a great opportunity to ensure all of your personal information is correct and to understand how your retirement benefits are calculated. If you are currently employed in a PERS-covered position, your annual statement is mailed to the address your employer provided to PERS as of mid-March 2018. If you do not receive your Member Annual Statement by June 1, 2018, please contact PERS Member Services via phone or email. To help members understand their annual statements, PERS offers an online FAQ and other resources. New this year are digital example statements on which you can hover over any piece of data outlined in blue to read tips and other helpful information (requires an up-to-date version of Adobe Acrobat Reader). If you cannot click links in this email for security reasons, the resources can be found linked to from the Oregon PERS home page at www.oregon.gov/PERS. Please note that in 2018, the investment strategy of the IAP changed from a one-size-fits-all approach to target-date funds that reduce investment risk and volatility as you age. Investment returns under the target-date fund model will be reflected on next year’s statement. Because 2018 investment returns (shown on your spring 2019 statement) will be based on your age, please make sure your date of birth is correct on your 2017 statement. An insert included with this year’s annual statements includes further information. Questions about your PERS benefits? Please be patient in the coming weeks as PERS Member Services experiences more calls and email than normal due to the mailing of annual statements. Representatives from American Fidelity Insurance are currently visiting schools to assist staff members in signing up for optional benefits, such as Section 125 Flexible Spending Accounts, Health Savings Accounts, life insurance, disability, and more. Follow this link and select “Schedule Appointment” to see a list of schools and the dates and times available. You can also self-enroll online now through May 15, or between Aug. 30 and Sep. 7. See this flyer for additional information. Please note that exception time sheets for May are due on Friday, Jun. 1, and those for June are due on Friday, June 15. See this memo for additional information. Also, in preparation for year-end payroll processing, please ensure that your address is correct in iVisions and that your direct deposit information is accurate by Thursday, May 31. Incorrect information will lead to hard copy checks being returned to Payroll and direct deposits being made into old accounts. Receiving a new check can take up to 10 days. Please see this memo for additional information. The State Board of Education is currently seeking nominations of incoming high school seniors for possible appointment as a student advisor to the Board from August 2018 through July 2019. Nominations must be made by high school counselors, principals, or the superintendent; and student nominees must complete an application. Materials should be sent to Zoe Larmer by Friday, May 4, 2018. Career and technical education (CTE) integrates academics and skills-based curriculum in a relevant and rigorous way, while also featuring high school and post-secondary partnerships that allow for clear pathways to certifications and degrees. It is not just vocational education or a way to track students into a particular career field, nor is it a lower quality of education. Rather, CTE courses build transferable skills that lead to success in both career and college. Read more in the April edition of OSP Connected. April’s Wonderful Third Wednesdays (WTW) professional development sessions are taking place on Wednesday, Apr. 18, from 4 to 5:30 p.m. at Brown Middle School, 1505 SW Cornelius Pass Rd. Classified and licensed staff will be paid extended contract for their attendance. Take a look at the sessions offered this month and please sign up through Serebra. Classified: Complete the Classified Professional Improvement form and e-mail Gilda GuzmanPaz for approval. Licensed: Complete the Licensed Course Pre-Approval form and e-mail Kristina Gantt for approval. Administrator or SuperTech: Complete the Licensed Course Pre-Approval form and e-mail Tammy Heckenliable for approval. Staff are invited to attend a free retirement planning seminar hosted by the Variable Annuity Life Insurance Company (VALIC) on Tuesday, Apr. 17, at 5 p.m. at the Administration Center, 3083 NE 49th Pl. Attendees will be introduced to the Retirement Pathfinder tool and will be able to create a personalized retirement plan with assistance from a financial advisor. To register, go to my.VALIC.com/seminars and enter the registration code: HSDHIL11AB for English or HSDHIL11AC for Spanish. 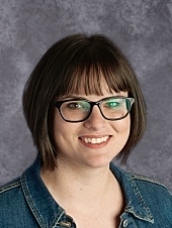 Congratulations are in order for Century High School Activities Director Julie Kasper who is a Region 7 finalist in the National Student Council High School Student Council Adviser of the Year, a prestigious recognition! 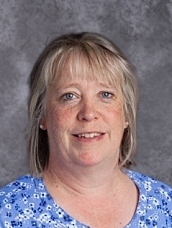 Ms. Kasper will attend the 2018 NASC National Conference in Plymouth, Minnesota on June 26th where she will be recogized and the national winners will be announced on stage. The National Student Council is a program of the National Association of Secondary School Principals. Well done and congratulations Julie Kasper! HSD’s window for Smarter Balanced assessments is April 2 through June 8, 2018. Our goal as a district is to do everything we can to make sure students are able to show what they know on their tests. Accurate data about student achievement can help all of us improve instruction and better support students in reaching and exceeding tough instructional standards, and can only be realized when students take the tests seriously and do their best. Send a letter or email to parents letting them know when their student will be testing and the importance of the test. Post your testing schedule on your school’s website. Talk to students and families about making sure students are well-rested and eat a healthy breakfast on test days. Provide snacks and breaks for students during testing. Encourage students to relax during the test, do their best and have a positive attitude. Create systems of rewards and incentives for students showing up and doing their best on the test. Use the resources on the HSD Assessment website including ideas for a positive testing culture, parent letter templates, parent flyers, etc. to further help incentivize students. If you have questions or need assistance on any of the above, please contact HSD Test Coordinator Tom Luba. This summer, George Fox University is offering several courses toward the SPED Endorsement that will be taught right here at the District Office. George Fox bills HSD directly, and the District will pay using your tuition reimbursement benefit. You can even borrow ahead from that benefit so there is no out-of-pocket expense! * (*A one-time registration fee of $40 is not reimbursable.) E-mail Kristina Gantt in HR if you have questions or would like to register for any or all of the available classes. 4.5 quarter credits - This course addresses assessment and evaluation as the means for making instructional decisions. The candidate will learn and practice multiple ways of assessing students. These include informal assessment, progress monitoring, formal evaluations, and standardized achievement tests to synthesize all that data to create a cohesive picture of the student’s standing, and continue to use the appropriate assessment tools to generate the information needed to make curricular and program decisions. Understand the special identification process (the discrepancy model, IQ vs. academic achievement test). 3 quarter credits - Candidates will gain knowledge and skills in writing effective Individualized Education Programs (IEPs) and acquire communication and collaboration strategies to facilitate IEP meetings and interactions with families. Candidates will identify key issues that could lead to litigation. Course content includes communication, organization, and administrative management. The following courses, SPED 513, SPED 524 and SPED 552 are taught as a group. These are the Life Skill/self-contained courses. Instructor: Erin O'Conner - July 9, 10, 11, 16, 17, 18, 24, 25, 26, 27. 4.5 quarter credits - This course prepares candidates to meet the needs of school students with low incidence learning disabilities who may or may not spend some time in general education classrooms. Candidates explore and discuss low incidence disabilities including: intellectual disability, hearing impairment, visual impairment, deaf/blindness, communication disorder, emotional disturbance, orthopedic impairment, traumatic brain injury, autism spectrum disorder, and other health impairments. Functional living skills are incorporated into content planning. 1.5 quarter credits - This course will focus on developing candidates’ ability to evaluate technological and assistive supports and determine appropriateness for exceptional learners. Candidates will design and develop assistive technology tools for use in academic and functional settings. 3 quarter credits - This course will focus on the families, individuals, and community supports for individuals with disabilities ages birth - 21. Candidates will identify age-appropriate services such as Head Start, early intervention, vocational educational programs, community experiences, employment and other post-school adult living objectives, acquisition of daily living skills, if appropriate, and access to state and federal services. As a result of the revised income tax withholding tables released by the IRS in February 2018, many HSD employees have seen an increase in their net (“take home”) pay. While HSD cannot advise on W4 changes, staff are encouraged to consult with their tax professional to ensure they are withholding at appropriate levels for 2018. Staff can use the IRS Withholding Calculator to perform a quick “paycheck checkup” to verify their withholding and help protect against having too little or too much tax withheld and facing an unexpected tax bill or penalty at tax time in 2019. The withholding changes do not affect 2017 tax returns due this April. However, having a completed 2017 tax return can help taxpayers work with the Withholding Calculator to determine their proper withholding amount for 2018 and to avoid issues when they file next year. Please login to the iVisions Employee Self-Service Portal and select “Employee Tax Forms” to view your current withholding elections. If you would like to change your elections, select the “Click to Fill Out Tax Forms” button on the webpage to complete and submit new forms. If you would like to view the impact to your pay for payroll deduction variables, select “Employee Pay” from the Pay/Tax Information drop-down menu and click on “Paycheck Calculator” in the lower, left-hand corner of the page. The Presidential Innovation Award for Environmental Educators program recognizes outstanding K-12 teachers who employ innovative approaches to environmental education. Winners will be awarded up to $2,500 to further their professional development in environmental education; their district/local education agency will also get up to $2,500 for environmental programs. Application deadline is Friday, Mar. 30, 2018. If you enrolled in the Kaiser or Moda Preferred medical insurance plans that are supplemented by a Health Reimbursement Arrangement (HRA), be sure to submit your Explanation of Benefits (EOB) for services rendered for prompt reimbursement. The plan is designed to offer a low deductible option with a reduced premium, but it only works if participants submit documentation of eligible services. Please contact Mae Hawkins (208-780-1154) at Waldo Associates with questions about the Preferred Plans and submitting for reimbursement. When HSD hosts a PSU student teacher, a tuition reduction voucher is offered to the cooperating teacher. If that teacher won’t be using it, it is offered to another HSD staff member. These vouchers are available to all staff on a first-come, first-served basis. To request a voucher, select the class(es) you will be taking, complete the pre-approval form for your employee category, add “requesting PSU voucher” on the form, and submit for approval. Please contact Kristina Gantt in HR with questions. In his winter newsletter, Director Rian Petrick talks about turf fields and elementary gyms that will be added as a result of the bond’s passage, the new elementary Track program that will launch at six schools this spring, and the addition of athletic trainer hours at each high school. Check out the newsletter and more on the Athletics and Activities department section of our website. Licensed staff (including administrators) are asked to please make note of the following reminders: 1) HSD and TSPC are two different entities and, as such, do not share required documentation and records systems; 2) TSPC does not automatically send new license details to HSD, so if you license has changed in any way please forward the information to HR; 3) It is the educator’s responsibility to renew their license and make sure all requirements have been met in a timely manner; and 4) PEER forms are not submitted automatically. If you need a PEER form/PDUs verified, please contact Yuri Mota Osorio (licensed teachers) or Tammy Heckenliable (administrators).